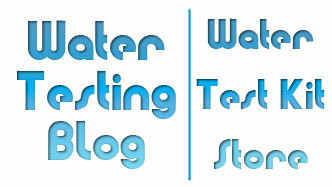 Question: Springtime Testing Well Water in Farming Community? Once the warmer weather starts to creep into the Heartland of the United States, snow in the high country begins to melt, the ground thaws out, and water flows freely over manure and fertilizer laced soil. As it does, it undoubtedly picks up elements of whatever it comes in contact with. Potentially harmful drinking water contaminants such as nitrates, nitrites and certain types of bacteria enter the water and may eventually find their way into aquifers tapped for drinking water. For that reason, along with a host of others, the staff at Water Testing Blog encourage all owners of private wells in agricultural regions to test their wells for nitrates, nitrites and bacteria not just in the Spring, but several times throughout the year. For the task of testing well water, WaterSafe makes a handy Well Water Test Kit that tests for the following parameters: bacteria, lead, copper, iron, pesticides, nitrates, chlorine, pH, and water hardness. Bacteria – strains of E.coli can cause serious illness or even death. 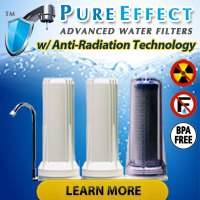 Lead – causes developmental harm, neurological and kidney damage. Copper – causes liver and kidney damage in infants. Iron – causes staining in laundry, dishes, bathtubs and sinks. Clogs pipes and gives off offensive odor. Pesticides – from agricultural uses, linked to increased cancer rates. Nitrates – from fertilizers and animal waste, causes developmental problems. Chlorine – can increase cancer risk, gives water bad taste and smell. pH level – can cause heavy metal (lead) leaching and plumbing damage. Water Hardness – causes lime scale and higher detergent use. Or, if you prefer to test for parameters individually w/o having to buy parameters you do not wish to test for, the following links ought to come in handy.